I don't know what is going on but ever since trying Spice Mode Masala Sauce and now the full line of spices I cannot stop craving Indian food! 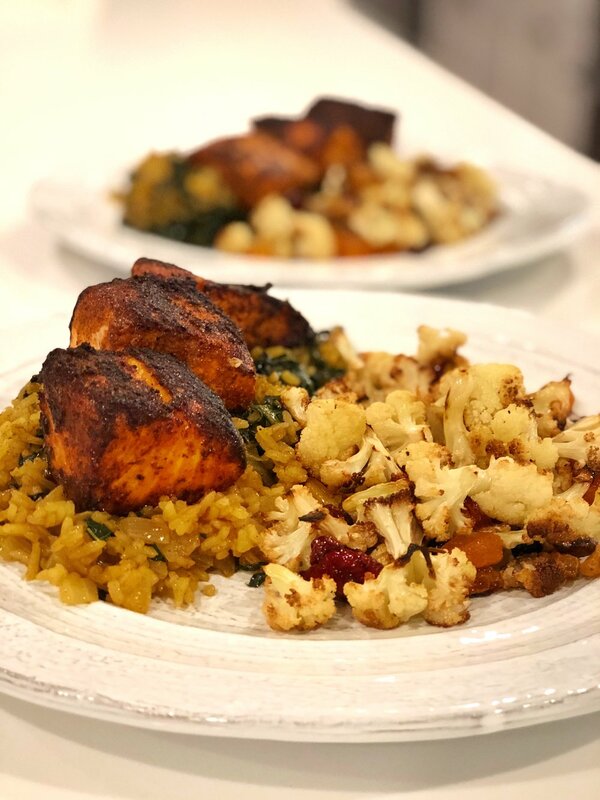 I think I made it three times the week that I made this dish and then ordered in Indian food that Friday night!! 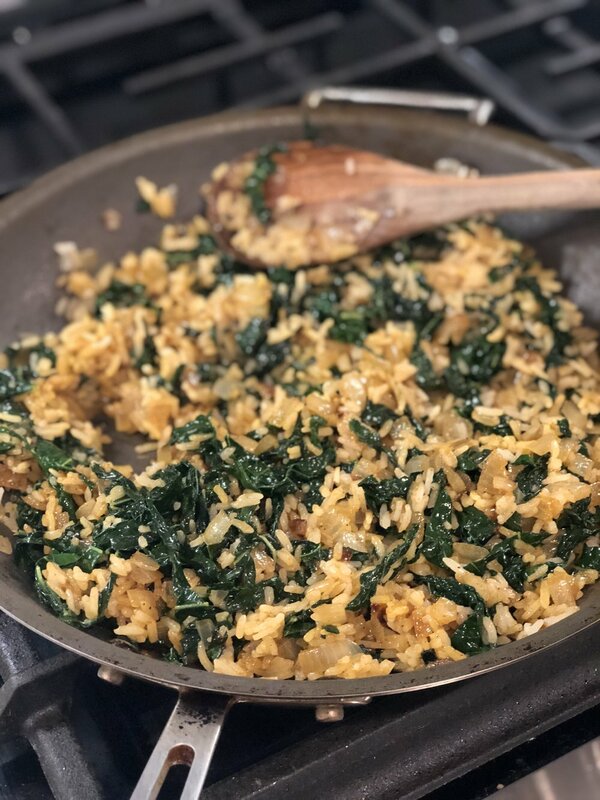 So the night I wanted to make this meal I knew I wanted rice but I wanted that to also be the green part of the meal so I figured I'd add some kale. But that wasn't enough, I didn't want rice and kale alone, it needed to have more flavor so I started googling Biryani recipes. 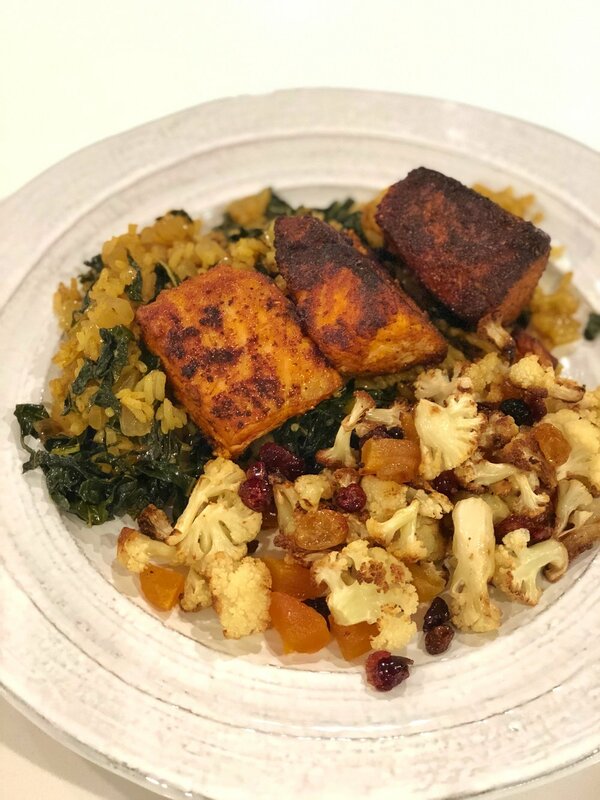 I found one that had a mix of spices which included mostly things I had on hand so I quickly whipped up a half recipe of the one I found (admittedly omitting the spices that weren't in my spice drawers) and then sort of made the rest up as I went. In a large skillet saute your diced onions over high/medium heat in a liberal pour of oil and a pinch of salt until golden. 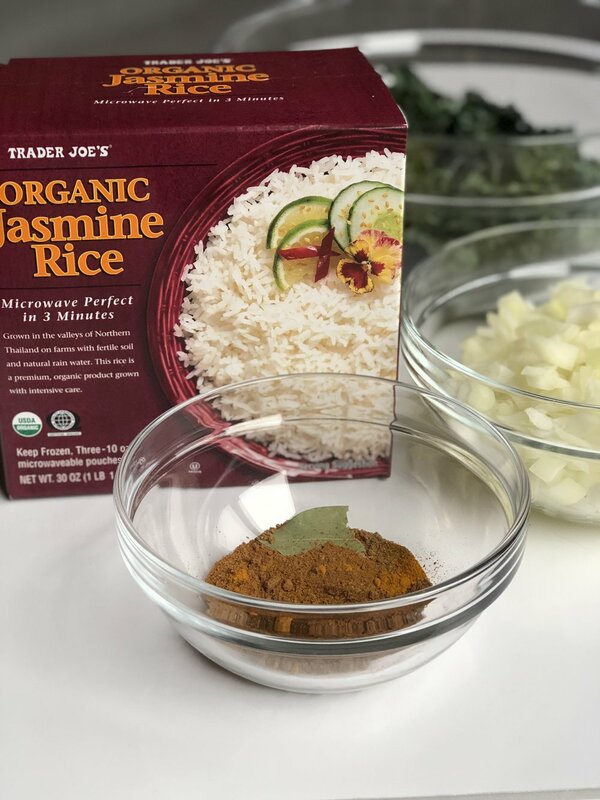 From frozen, add a full bag of the trader joe's frozen rice, 1/2 cup of stock, and half of the spice mix. Toss the contents of the pan, still over medium heat and cover. The rice will cook up in about 5 minutes, just continue to stir and keep on low heat covered until ready to serve. If there's any additional liquid bring the temperature up and remove the lid to reduce the liquid out. This rice was sooooo good that I saved and froze the leftovers because I know I'm gonna want them soon and I was thrilled to have made extra of the seasoning so that I can make the whole dish again soon as well. The best part is, this would be so easy to amp up, adding chicken, or shrimp, or just a ton of other veggies!